In the slew of new video game releases from September to December, there’s certainly no shortage of new games to play. In September alone, we were given ReCore (which admittedly ended-up being pretty bad), Rive, Dragon Quest VII (3DS), Destiny Rise of Iron, NBA 2K17, Darkest Dungeon, Fifa 17, Forza Horizon 3, Lego Dimensions: Wave 6, and Yo-Kai Watch 2. Of course, these are just the games we planned to play last month, and it doesn’t include any of the numerous releases that the rest of you reading this might have played. With all of those games, it’s likely that you didn’t get to them all, and you were planning to get to the games you missed in October. Now, if you were to rank everything in that list above based on the games you want to play most to the games you can wait until they’re on sale to play, the two games that most of you would place at the bottom would be Paper Mario: Color Splash and World of Final Fantasy. Why? It’s not because these games aren’t interesting or you intend on skipping them, it’s that you simply won’t have time to play them, as they’re mere drops of water in a sea of video game releases. And these are at the bottom of the barrel because of the other potentially great games that have already released or are releasing. So is Paper Mario: Color Splash any good? 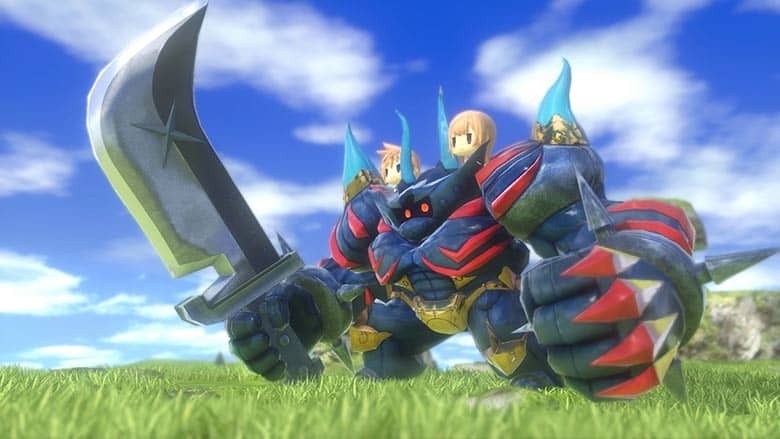 Is World of Final Fantasy any good? The short answer is an emphatic yes, and having spent time with both the new Paper Mario and World of Final Fantasy, I’m here to write about the fact that these games are going to be criminally overlooked this year. Let’s start with Paper Mario: Color Splash, which I already briefly discussed last week when talking about the importance of a good release date. It’s pretty much the only major Wii U release for the holiday season, and even so, it’s getting lost in the shuffle of other releases. But it’s quite a formidable game, and it’s filled with some cool mechanics and interesting ideas. Its generally cutesy aesthetic is especially appreciated in a month when the majority of games are much more serious (and violent) in nature — not that there’s anything wrong with those types of games. 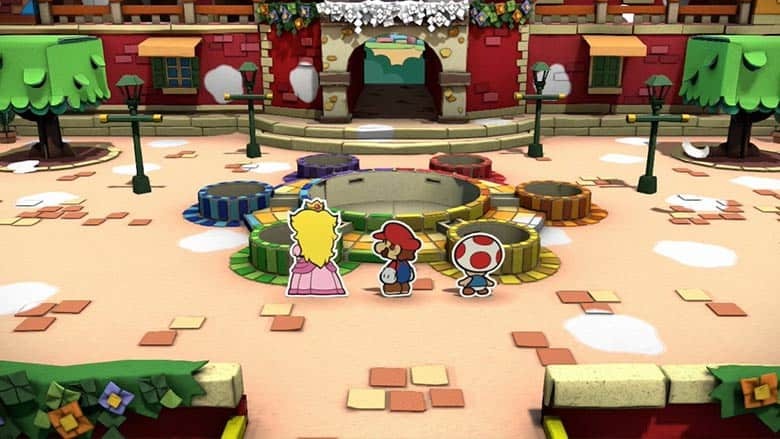 Paper Mario: Color Splash‘s comedic element is strong as well, and you’ll definitely come across a few ideas that are sure to make you chuckle. And with Nintendo Switch officially announced and coming soon, it’s likely to be Mario’s last big outing on the Wii U. So, there are plenty of reasons to play the new Paper Mario. And then, there’s World of Final Fantasy, which despite its goodness, is also going to be greatly overlooked this holiday season. The World of Final Fantasy reviews are all praising its quality. I’ve had my own hands-on time with it as well, and it’s a much more substantial game than what I anticipated. In fact, it comes in at over 100 hours in length. It uses the familiar Active Time Battle system we’ve seen in Final Fantasy games before it, and you’re able to switch between active and wait modes when you’re battling. Even with its generic story and kid-oriented aesthetic, the gameplay is incredibly fun, and the game shouldn’t be overlooked. But here we are, in the heat of October, and no one is talking about World of Final Fantasy (which released today) or Paper Mario: Color Splash (which released earlier this month), despite the fact that they’re getting mostly positive reviews. And oddly, we can’t even call these underrated games because they’re actually seeing positive reviews. They’re easily the two most underappreciated games of 2016 so far. I’m surprised that these two aren’t getting more of a marketing push behind them, as we’ve barely heard anything about either of them leading up to their releases. 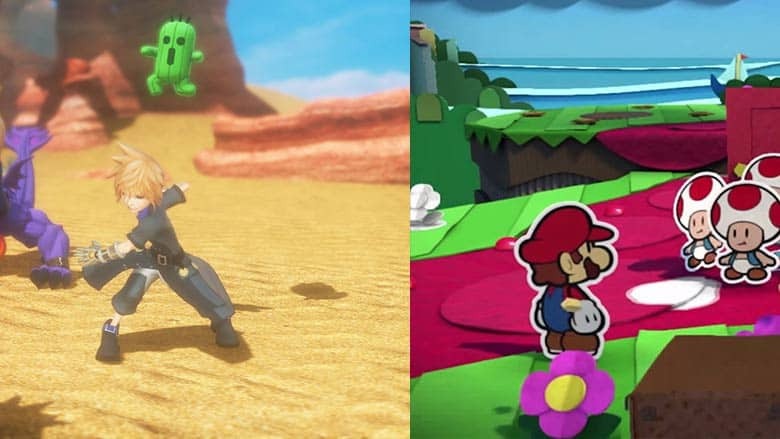 Obviously, Square Enix wants to focus on Final Fantasy XV and Nintendo on Pokemon Sun and Moon, but they’re missing an opportunity to capitalize on two other incredible games this month. Here’s to hoping that you’ll take my advice and pick up either (or both) of these games soon, because otherwise, you’re missing out on some great, clean fun.